First of all, do you know who is this Ashwatthama? and what is the reason for him still being alive? There are so many questions here. But for all these questions, you will get answer and conclusion at the end of this post. Ok, let's know about the history of Ashwathama. Also known as Drauni because he was the son of Guru Drona. Ashwatthama was a great warrior who possessed so many warfare skills. 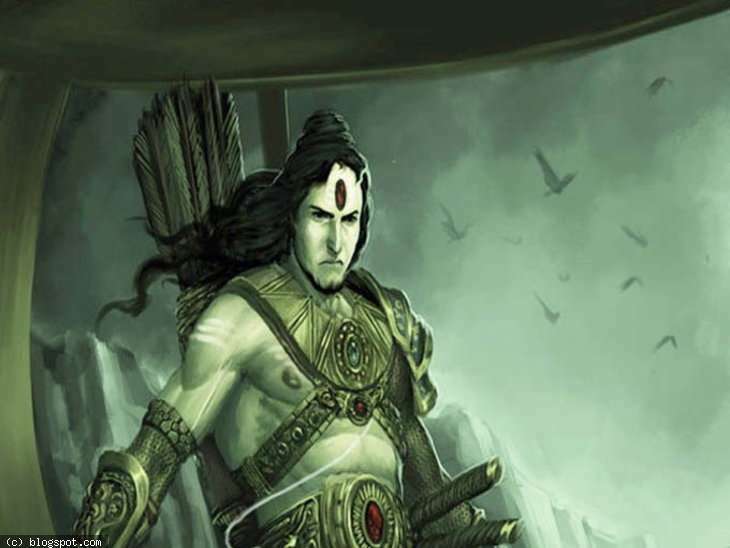 Ashwathama in Mahabharata fought from the Kauravas side in Kurukshetra war. Ashwathama mother name was Kripi, who was the sister of Kripa or Kripacharya. So Kripacharya was the uncle of Ashwatthama. He was one of the Maharathis who fought from Kauravas side in Kurukshetra war. Ashwathama is one of the 8 Chiranjivi still alive in Kali Yuga. Ashwathama was born with a gem on his forehead which made him more powerful and mighty warrior. Now move on to our main point Is Ashwatthama Still Alive?? Yes, we can say that Ashwathama alive because there are so many facts and proofs available about existence and roaming of Ashwatthama. But Is Ashwathama is alive with healthy condition!!!!! No, he is not living a healthy and good life because there was a curse on Ashwatthama. Ashwatthama was cursed by Lord Krishna. In Kurukshetra war, Pandavas killed the father of Ashwatthama, Drona with one cunning strategic plan which was organized by Lord Krishna and performed by Yudhisthira and Bhima. For this plan, Pandavas used Ashwatthama as bait for Drona. As a part of this plan, Drona was killed by Dhrishtadyumna. After Duryodhana was killed by Bhima in a mace fight, there were only a few Kauravas like Ashwatthama, Kripacharya and Kritavarma left. One night Ashwattama wanted to kill Pandavas while they were sleeping but this is adharma way to kill warriors while they are sleeping. So Ashwatthama, Kripacharya, and Kritavarma went to the place where Pandavas were used to sleep but unfortunately at the time Pandavas and Krishan were not there because they went outside on another work. Ashwatthama entered into the tent of Pandavas and saw 5 persons sleeping there in a row. He thought that they were Pandavas and killed all those 5 persons and went away but he did not know that they are not Pandavas and they are 5 sons of the Pandavas. After Pandavas returned to the tent and came to know what happened and they were in the grief of high sorrow. All Pandavas and Krishna started searching for Ashwathama. Finally, they found Ashwatthama. On seeing Pandavas and Lord Krishna, Ashwatthama somewhat understood what happened in that previous night. Krishna felt very sad about the bad things which were happened because of Ashwatthama. Krishna became very angry for what Ashwatthama did to the lineage of the Pandavas and cursed Ashwatthama. Krishna cursed Ashwatthama in a way that his body will suffer from a host of incurable diseases forming sores and ulcers that would never heal. Krishna further stated that he would be roaming in the forest for 5000 years without getting any hospitality nor any accommodation from mankind and society. Ashwatthama was also ordered by Lord Krishna to remove the gem from the forehead. Due to the removal of this gem on his forehead, wounds on Ashwatthama's body will not heal. This is what happened to Ashwathama after Mahabharata. So many people claimed that they have seen Ashwathama alive in different places and they also described him by saying that they saw a tall main with gain height who has a wound on his forehead. There are some many incidents in which people claimed that they have seen Ashwathama alive. Railway employee claimed that he saw a tall man with 12 feet height in Navsari jungles which is in Gujarat. He also claimed that a giant man has a wound on his forehead. Prithviraj Chauhan king saw a giant person while he was roaming in the forest. By seeing those heals of Ashwatthama, Chauhan claimed that he could cure those injuries because he has a knowledge about Ayurved. Prithviraj tried for a week but he was unable to cure those heals and those heals remained same. Prithviraj got a doubt whether that person was Aswathama because any other normal person wounds could be cured through his medication. That tall man replied by saying he was Ashwathama and went away. This incident was also written in the book Prithviraj Raso. There are also many incidents stating that Ashwathama was seen in the places like Ludhiana which is Punjab and nearby Narmada river which is in Gujarat and Shoolpaneshwar and nearby the foothills on the Himalayas. These are all incidents which stated Ashwathama sightings. So overall by seeing all these proofs and incidents, one can easily say that Ashwatthama Of Mahabharata Still Alive and he is one of those 8 Chiranjivi. This is the answer to the question "Is Ashwatthama Of Mahabharata Still Alive". Hope you loved it by reading here. 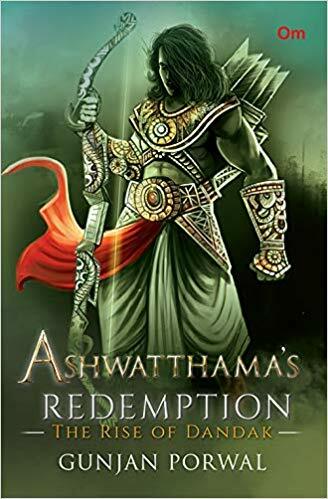 This is one of the best books on Ashwatthama.